When you don’t have what the other kids have, school can be pretty rough. Trying to hide the hole in your shoes, the fade in your clothes, the fact that you don’t even have a pencil to take notes takes a toll on your self-esteem – and your grades. 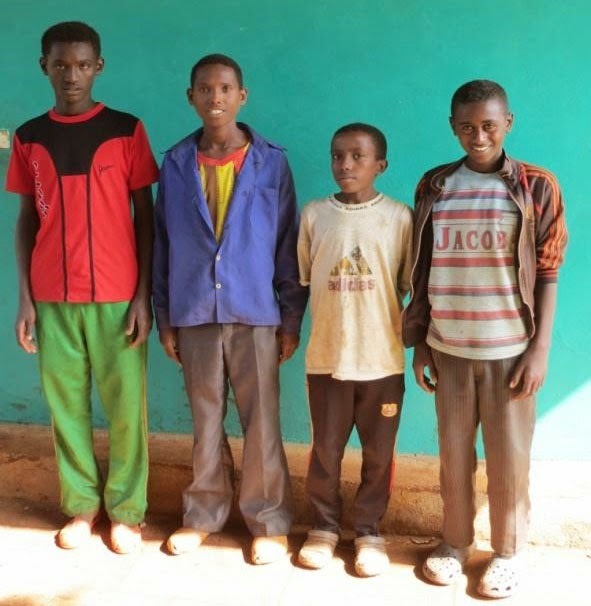 These four young men fell into the lowest income bracket in their classes, and their attitude and performance at school reflected their struggles at home. When they joined the Food for the Hungry Child Sponsorship program, however, things started to turn around. They were given brand new uniforms and ample school supplies. Their parents received income-generating tools and training. Their siblings gained access to health care. Someone was finally taking the time to help their families succeed. With new-found pride and hope, they soared to the top of their classes. “Not having the basic things we need has created a gulf between us and the society we are a part of. We have had limited interaction with the rest of society. Find out more about FH work in Ethiopia.